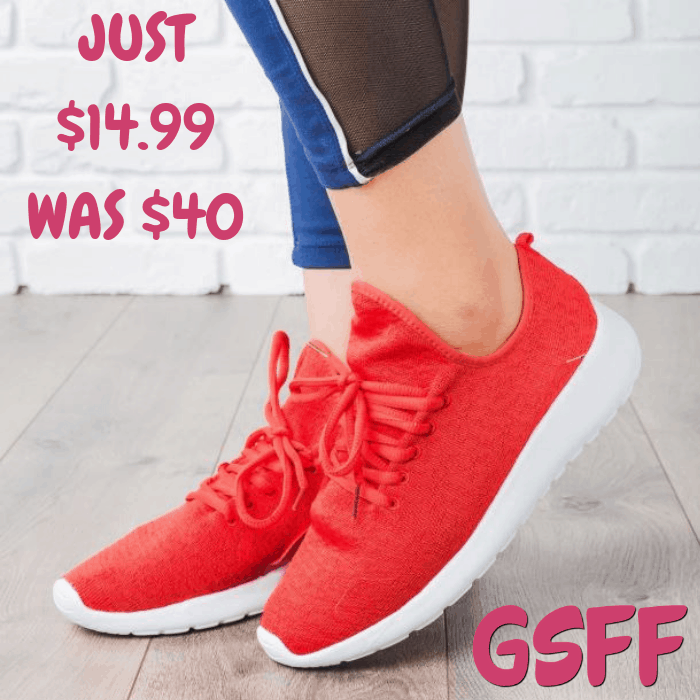 Insole Sneakers Just $18.99! Down From $50! Until February 14 only! Hurry and score these Comfort Insole Sneakers which are currently on sale at Jane for just $18.99 down from $49.99! Shipping is $4.99 for the first item and $2.99 for each additional item. We all know glitter and comfiness equal happiness! These shimmery glitter fashion sneakers are the perfect cute and comfy style. Made with a shimmery body and feature a closed/rounded toe, lace-up style, and cushioned insoles. Pair them up with your favorite casual wear! Until January 14 only! Jane has these Knitted Sneakers on sale for just $14.99 down from $39.99 PLUS FREE shipping!